The Model 95-25 Series Wax melting and condition unit is designed for transferring liquid wax to injection machines. 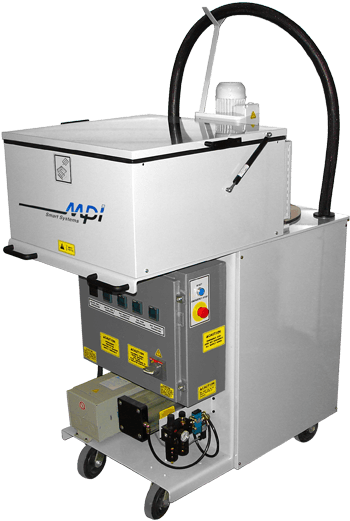 It can be supplied as a portable unit for manual filling the injectors or as a stationary unit with rigid transfer lines for automatically feeding up to 4 injection machines. Eliminate the leading cause of problems in the wax room, UNEVEN WAX TEMPERATURE! A constant temperature into your wax injector yields patterns with dimensional accuracy. Remember – wax temperature variation is the leading cause of pattern defects!